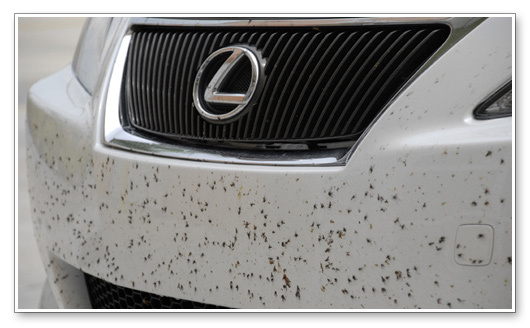 Car Wash mobile detailing Tips for love bug damage prevention. It is Love Bug season again! Many people ask me how to prevent or to correct love bug damage. There are tons of products available to apply to your car before and after these bugs crash into your vehicle; However, they are costly and most of the times do not work. The only way to prevent damage to your vehicle almost free would be to immediately after noticing the bugs in your bumper and mirrors wipe with a soft and clean microfiber towel damped in water and dry it with a different microfiber towel. We are a car wash, and also a domicile car wash. We do auto detailing also known as auto detail or car detail. We go as far as Geneva detail. We are the best car wash and the best mobile detailer. We are known as auto detailing Orlando, auto detailing Sanford, auto detailing Oviedo, Auto detailing Winter Park, Auto detailing Maitland. You can search for us by typing Orlando car wash, Sanford car wash, Geneva car wash, Oviedo car wash, maitland car wash, Winter Park car wash.